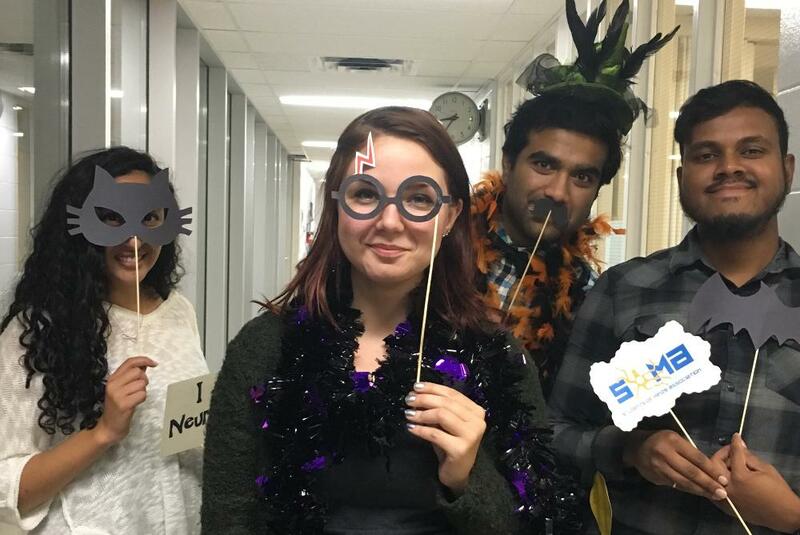 This Halloween, MiNDS students took a bit of time to relax, have some fun, meet new students and catch up with old friends in the program! 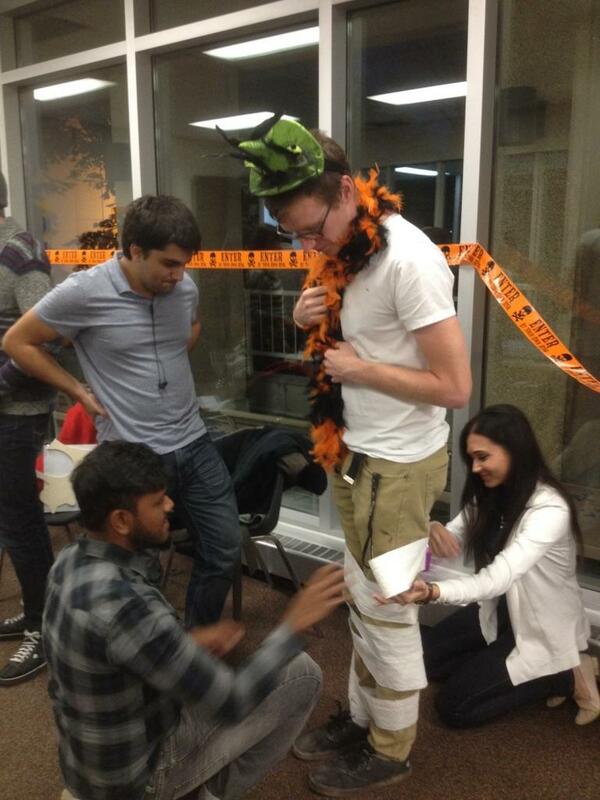 Ever wondered what the MiNDS students do behind the scenes when they aren't working hard in their labs? We turn Halloween into a celebration. Surprised? So was I. We don't go around pretend-scaring people, or asking for candy; instead, we get free goodies sent to us (thank you Sandra!). And, there are a lot of fun activities involved too. Take a look! 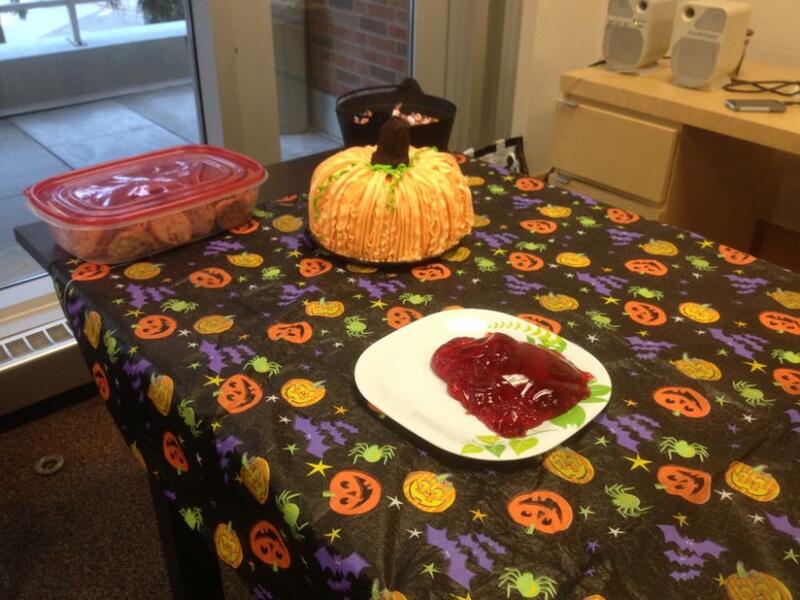 After we worked up an appetite playing fun games organized by SOMA members Gésine and Gabriella, the table was set with delicious treats for us to enjoy, and pizza was also provided later on! 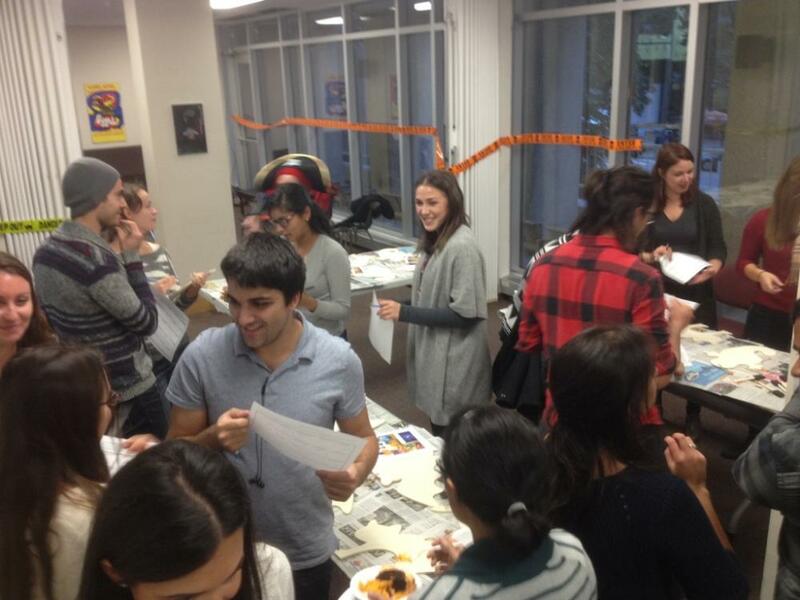 We played a wonderful and unique version of BINGO that helped us meet and get to know other MiNDS students at the event. Each BINGO card contained statements that had to be matched with someone at the event. For example, one box on my card had a statement that read "Is an only child" and as a player of the game you had to find a person at the event who was an only child and have them sign that square for you. In the end, Shreya was the first to get a BINGO. 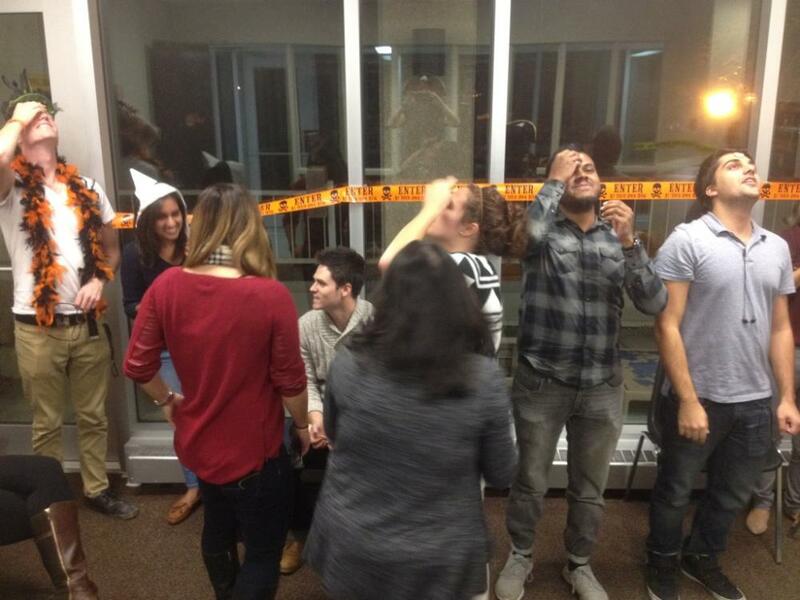 The Halloween photo booth! Students got to pose for pictures with fun props and friends. 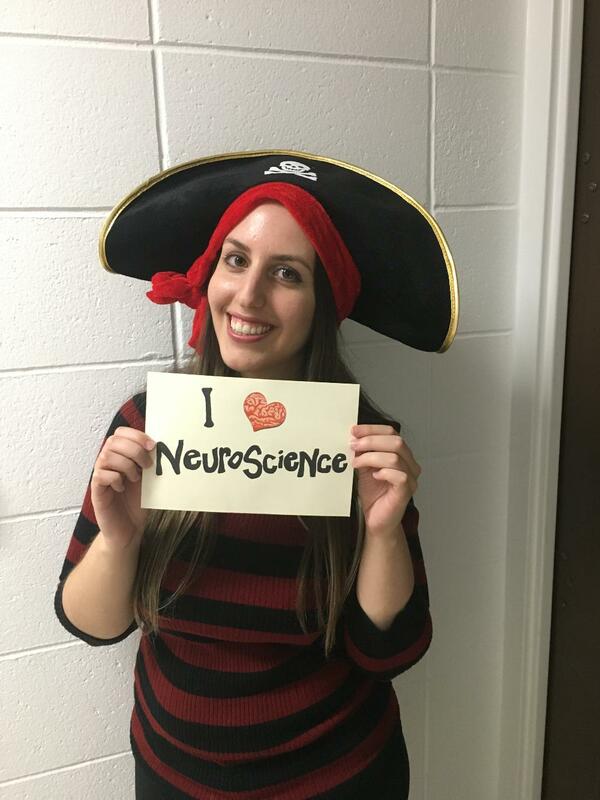 We took turns taking pictures with costumes, including masks and pirate hats, and SOMA and "I love Neuroscience" cards. 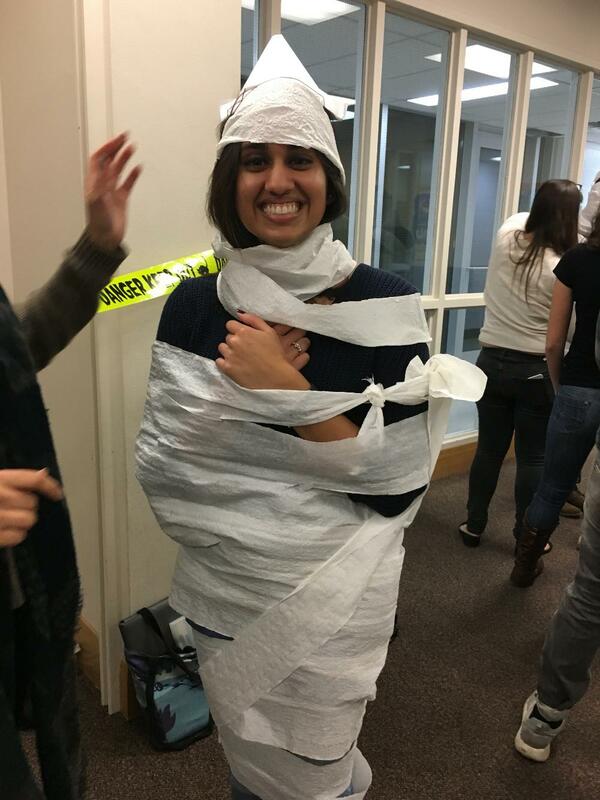 Finally, we can all agree that Halloween isn’t complete without toilet-paper mummies! Neuroscientists try to answer the question that has been plaguing humanity for all time: Can you get a cookie from your forehead to your mouth without using your hands? 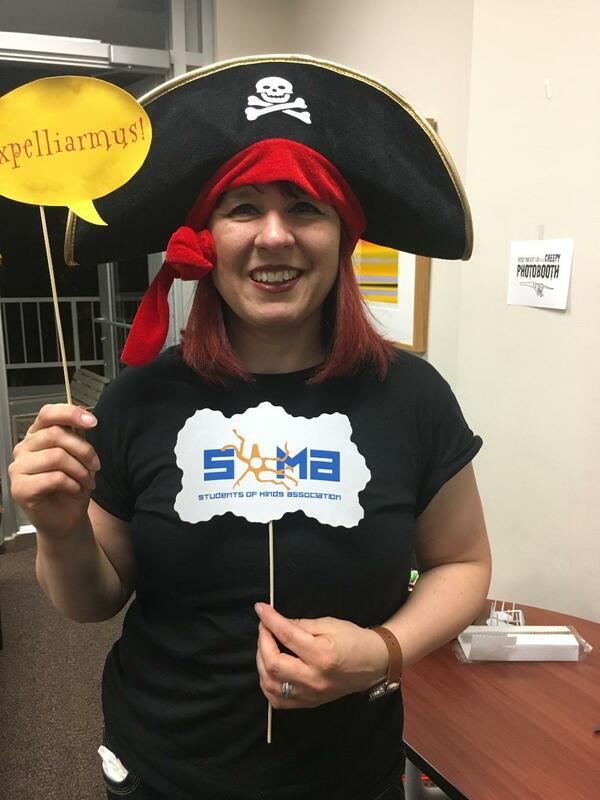 We are counting down to the next SOMA event!